Midwestern Metals is a locally owned custom metal shop located in Topeka, Kansas. Our facility is 30,000 square feet located in the Industrial Park area of Lower Silver Lake Road. We specialize in the metal fabrication and production of dredge equipment, and conveyor systems. We have also done several military contracts, and contracts on the State level. We are able to fabricate almost anything, and would love to show you around. We also have a sister company which sells dredges and dredge parts. 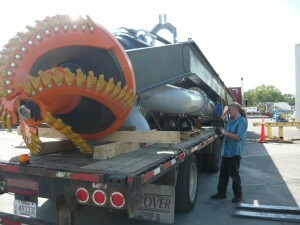 To visit our other website or to purchase a dredge, please visit www.customdredgeworks.com.